Prof. U. R. Daga, Dean Faculty of Management Studies at National Law University, Jodhpur, started his academic stint in 1966 at Jai Narain Vyas University. He has crossed several milestones during the 46 years of his teaching experience. Apart from teaching, he guides and mentors, in the capacity of Director, the various learning and research centres of the University. Prof.Daga has been the originator for numerous academic workshops, conferences, panel discussions, research projects and like events, bringing an interface between law and other disciplines like management. He has also been instrumental in wide circulation and acclamation of the flagship publication “Journal of Governance” capturing opinions of eminent industrialists academicians on contemporary corporate governance issues. He has steered successful career placements of students, who are now well positioned in different industry spheres. He has supervised and produced thirty six Doctoral degrees. He boasts of having delivered to the country around 8,000 to 10,000 chartered accountants, cost accountants and company secretaries. He has guided various diverse professional institutions and has travelled across the world to deliver lectures and discourses on contemporary aspects of ethics, religion, and social matters, and has been expose to the diverse pedagogies and cultures. Dr. Sumer Bahadur Singh, a literati and an eminent educationist, is an alumnus of The Doon School and St. Stephens College. He has served various popular schools across the globe. He has designed a number of schools including Pathways World School, Doon Girls and Sanskar Valley. He is also serving on the Governing Body of Mayo College & Mayo Girls. In 2013, he was conferred a Doctorate of Literature in Education by De Montfort University, England and was felicitated with the Life Time Achievement Award by the Education World for his outstanding contribution to the field of Education. Mr. Kaisar Dopaishi is the Principal of Singapore International School and the President of South Asia IB School Association. He is an experienced, practicing educator, who has been involved in developing productive student-focused environment to maximise learning experiences in international/public residential/day schools since 1983. He travels extensively and has visited different schools both in India and abroad. 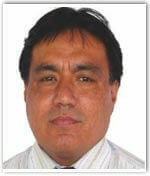 He also has the experience of working in the American High School Diploma and the national curriculum of ICSE and ISC. He has worked in renowned residential schools such as Barnes School, Devlali; Sherwood College, Nainital; and Kodaikanal International School in India. His last assignment was as the Vice-Principal and Acting Principal at Kodaikanal International School. Dr. Mrs. Vandana Lulla is the Founding Principal of Podar International School (International Baccalaureate & Cambridge) and has played an instrumental role in setting up and leading the school. She is also the Director of Podar Group of International Schools undertaking the international curriculum and a Governing Body Member of Bodhi International School, Jodhpur. She has accredited schools for CIS in India, Hong Kong, China, Indonesia and Dubai since 2012 and is an associate inspector who has been working with DSIB since 2008. She is also the Vice President of South Asian International Baccalaureate Schools Association (SAIBSA) for many years and member of various board of directors for over 10 years. She is a qualified teacher and holds a doctorate degree in “Managing students with SEN using Technology.” As an educator, she has over 20 years of experience as a teacher, principal and teacher trainer. She has experience of ICSE, CBSE, IB and Cambridge curricula and particular expertise in curriculum development, school improvement, English, SEND and History. She has travelled extensively and undertaken various international trainings in USA, UK, Australia, Singapore, Japan and Dubai for the IB and Cambridge programmes and has imparted the same to her staff. She is a validated trainer for British Council and has conducted trainings in Introduction to Core Skills like Creativity and Imagination, Critical Thinking and Problem Solving, Digital Literacy, Student Leadership, Collaboration and Communication and Citizenship pan India. She is also appointed as a trainer by Cambridge International Examinations. She has been bestowed with the Rajya Puraskar Award by Maharashtra State Government for selfless work done in the field of education and the 'Global Accreditation Award' by the British Council for undertaking a research project on developing higher order thinking skills in students. Due to her vast knowledge of the various school boards and their requirements i.e. ICSE, CBSE, CIE and IB, she has helped in the establishment of many new schools in India and abroad by providing consultancy services in the form of guidance in submitting applications, formulation of budgets, development of policies and procedures, appraisals, curriculum design and planning etc. She is also a governing body member of various schools in India and abroad.She has been one of the very first pioneers to introduce I-Pad and 3D technology in the classrooms and has also undertaken international projects on adding global dimension into the curriculum using technology.She has experience in working with 300 students with various learning difficulties i.e. Learning Disability, Hearing Impairment, ADHD, etc. in mainstream education and have improved the performances of such students using technology. She has also used technology to train more than 100 students suffering from cancer. She has been listed in the publication “Who’s who” as a result of her contributions to the school education communities that she has served. Her prime aim is to give back to the society in the form of community service. Her passion is never ending and infinite. A Young & Dynamic suave entrepreneur with firm commitment towards industrial growth has expanded his business aggressively and is dedicated to philanthropic activities, predominantly for humanitarian causes.Under his stewardship Chemical & Mineral Industries Pvt. Ltd. has made a national record in Limca Book of Records 2016 by installing India’s first fully automated Pet-coke fired Twin-D Lime Kiln of 300 TPD at its new plant at Boranada, Jodhpur in June 2014. It is based on the technology of world’s renowned Cimprogetti, Italy. He has represented India at International Conference hosted by International Lime Association (ILA) at Kuala Lumpur, Dubai, Istanbul, London and presented Paper there. 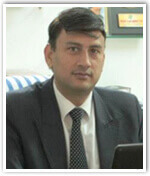 Dr. Vikas Balia, a lawyer by profession, is a rank holding chartered accountant, who worked in Mumbai while doing his law degree before moving to his hometown to start a law firm and practice as a counsel. On the academic side, after completion of his masters degree in mercantile laws, he has successfully pursued a doctoral research on securitizations laws. He runs a full service law firm by the name of Legalshpere in western rajasthan with a network of offices across india including delhi, mumbai, jaipur, and gurgaon. The firm specializes in corporate, commercial, constitutional & other civil matters, litigations and non-litigating work including transactions, due diligence and advisory work. They have experience in working with NGOs across various sectors. He acts as a consultant to another pan india law firm, PKA Advocates. Vikas always had a keen mind for finance and issues involving cross issues of law, finance, economics and management and takes guest lectures for CA, Law and MBA students a few times every year. In fact, he considers himself more of an investor and wears that hat often. Over the last few years he has jointly started an accounting and tax outsourcing unit with partners in New York. He is also a promoter in Mukan Consultants Pvt. Ltd, which advices individuals and corporate entities on making wise investments and the real estate, energy & power sector with a special focus on renewable energy. While in school vikas had represented his state in the national school games for tennis and in college had represented his university at the national level in tennis. He set up a tennis academy, nv sports, in jodhpur in 2010 with his tennis partner from university which trains about 100 kids at any given point of time. He serves on the board of edelweiss asset reconstruction company limited ( a leader in india in the distressed asset market ), satyagyan foundation ( a non profit company dedicated to women's literacy issues based in banares ), udbhav ( a trust for the benefit of children diagnosed with cancer ) and the jodhpur initiative ( a trust which acts as a think tank for the development for the city of jodhpur). Vikas also co-founded the Desert Leaf Foundation which works in the area of sports, culture and education and social enterprises. They organise Kitaabo –the blue city children’s literature festival.He loves country, folk-rock and classical music, movies and has been collecting some art lately. A believer in the good life of small towns, Vikas can be counted on a road trip whenever you’d like to take one. A young educator and various National Awards winner, Director at Shanti Niketan Vidyapeeth, Meerut, Chief Editor and CEO www.schoolofeducators.com, Managing Director Leo C.H.C. Pvt. Ltd. (An ISO 9001 company developing School Management software), Consultant and Advisor for various schools and expert on multiple intelligence and other school management related skills.